building the government workers were rallying on the plaza for higher wages. 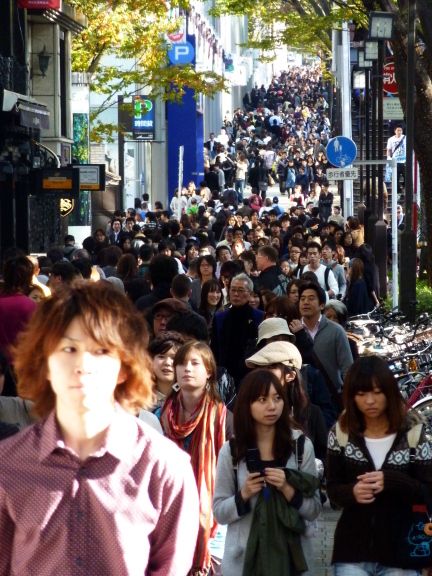 Shinjuku is a fashionable shopping area for mainly young women and they are dressed to shop. One train stop down the Yamonte rail line is the trendy Harajuku, and cross town is upscale Ginza, where your run of the mill high fashion shops are.